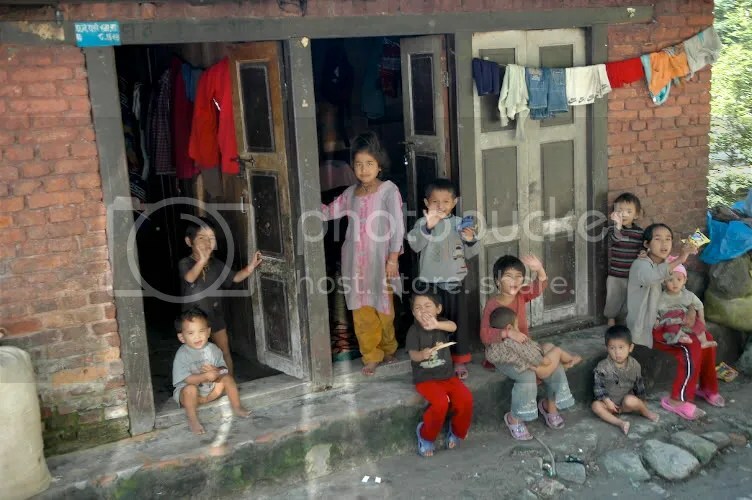 During my travels to Nepal and Tibet, it was such a delight to photograph kids; even when they were simply waving at our passing bus. This is on my return trip through the border town of Kodari, Nepal. Eleven cute kids in these two households! … feel free to wave back at them! Before that, we were waiting on a bridge for 15 minutes. Young mothers returning from buying groceries. 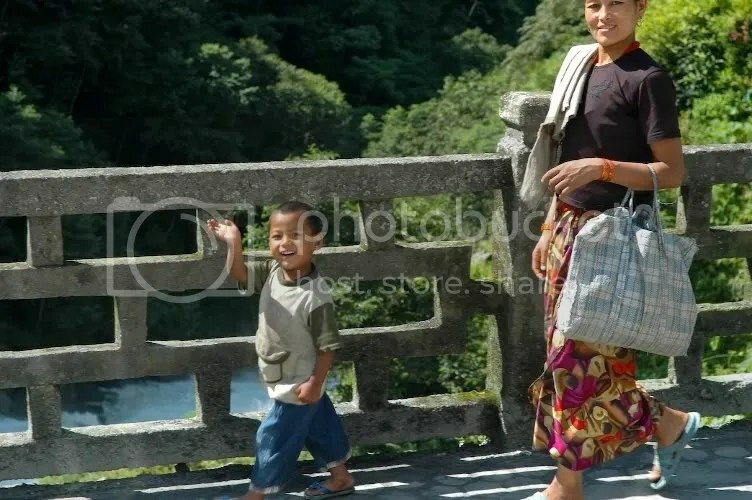 A mother with a regal stride follows her jubilant son. 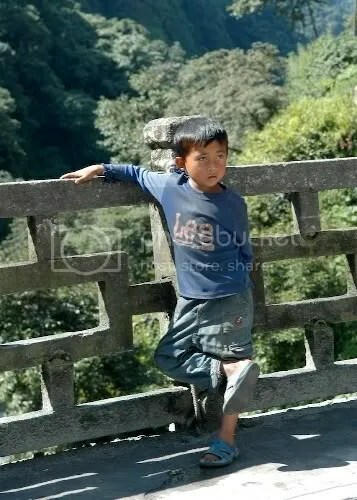 This kids seems to be wondering about the folks in the bus. Great to hear that you too completed the yatra! Please do share your experiences; have you posted them somewhere? As a part of fact-finding mission and research before undertaking the yatra myself in 2007, I came across your travel pages. I must confess that your pages were full of insigts that were extremely useful during the journey. Sad I am so late in thanking you for your wonderful travelogue. The yatra brought in a new perspective and my outlook towards life is all the more positive. Thank you again for your tremendous effort. Fabulous to hear from you! And how could I forget one of our team-mates. That was a trip we will remember for ever. Nothing else will come close. Thanks for posting this comment and your kinds words about the post! Seema here. Remember? I guess, big NO. A member of Shanbhag group from Kailash Manas yatra, Sheela’s friend. I am reading your pages repeatedly and experiencing the whole yatra again. It gives me immense pleasure to see the photos which I could not manage to get at that time. I am very greatful to you for giving us the treasure to preserve for lifetime. Recently I had been to Dr. Shanbhag’s house with Sheela and I came to know that you were there the previous day. We went with Kesari Tours in Mumbai. Their organization was outstanding – though we had some issues with their immature leadership during contentious issues with their customers. BTW, they actually subcontract it to a group in Nepal call Richa Travels and Tours. You may be better off contacting them directly. Planning Kailash Mansarovar yatra next year , Could you please tell me which tour operator you use. yes, I was moved by the innocent smiles of all the kids. Just beautiful! Thank you for appreciating them. Nice pictures arun! All the innocent faces.. looks lovely!